DictateNow will be attending the Global Law Summit, 23-25 February. This auspicious event marks 800 years since the sealing of the Magna Carta, and will welcome up to 2,000 delegates, speakers and guests – from representatives of international law firms and in-house General Counsel through to government representatives and academics from across the world. 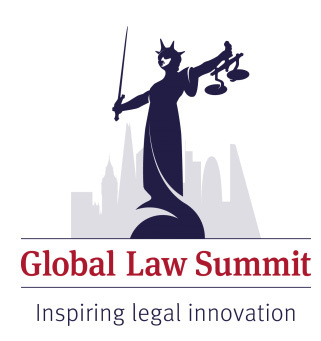 The Global Law Summit was launched by the Lord Chancellor and Secretary of State for Justice, the Rt Hon Chris Grayling MP, in October 2013. It is a one-off, world-class international conference, to be held in London between 23rd and 25th February 2015, in partnership with Thomson Reuters. The event takes place at Queen Elizabeth II Centre and Central Hall Westminster, London. Marking 800 years since the sealing of Magna Carta, the meeting is a superb opportunity to examine how the Rule of Law can positively influence the global economy and create a wider sense of stability. Businesses all over the world depend on high-quality, agile and modern legal services to ensure a properly regulated, efficient and ethical marketplace. The Global Law Summit will bring together leaders in law to discuss and debate, and will encourage the development of relationships across markets and jurisdictions. As well as serving as a platform to consider some of the critical issues facing the legal profession, the event will allow for networking with fellow practitioners from right around the world. This summit is a not-for-profit venture and any surplus will be invested in legacy materials. The Global Law Summit is a chance for senior lawyers and business leaders from across the world to come together to consider key developments in the legal sector. With over half of the world’s leading law firms headquartered in London, the UK capital makes the perfect location to think about new global challenges. Our programme will consider how the Rule of Law has helped to shape London’s position as the largest specialist and high-tech centre for resolution in financial, business and property disputes. It is a model that can be extended right around the globe. After all, in our age of technology and interconnectedness, the rule of law is more critical than ever in fostering growth – supporting business, government and wider society. We will welcome up to 2,000 delegates, speakers and guests – from representatives of international law firms and in-house General Counsel through to government representatives and academics from across the world. Among those taking part will lawyers and business figures from the fast-developing economies of Brazil, Russia, India and China, as well as other leading nations including Mexico, Indonesia, South Korea and Turkey. So if you are looking for new insights and the opportunity to network and engage with key partners and future clients, this unique summit is in a class of its own. In addition, event organisers are also working closely with GC 100 Network, individual bar associations and bilateral law societies in Asia, South America and other parts of the world.